We’re delighted The Canons has been awarded over £4 million by the Lottery as part of a £5 million plus restoration project. Securing this funding has been a major effort from the three community organisations who have donated hundreds of volunteer hours over the last four years to achieve it. These are Mitcham Cricket Green Community & Heritage, Friends of the Canons and Mitcham Society. Merton Council is the applicant as it owns the land and buildings and expert consultants have provided new insights and research. 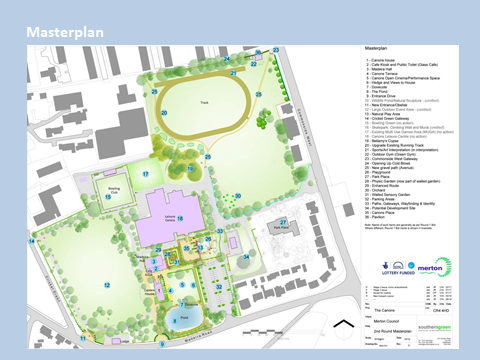 The project will deliver on one of the key objectives of our Cricket Green Charter. The running track, dovecote, obelisk, Bellamy’s Copse and pond will all benefit. The Canons house will be restored. Most of the house will be let as offices but the basement will become a community space and the large room on the ground floor will be available for hire. The disused toilets between Canons House and Madeira Hall will be demolished. There will be a new café built onto Madeira Hall looking into the east lawn where the dovecote is. The car park immediately outside the entrance to the leisure centre will become a plaza, including a new children’s play area replacing the one in front of Park Place. A new entrance will be opened up at the obelisk. There will also be investment in managing the area better for wildlife. There will be a programme of community events and activities, an archaeological dig and educational projects. These will provide multiple ways in which local people can get involved. This is a massive investment in our part of the Conservation Area. 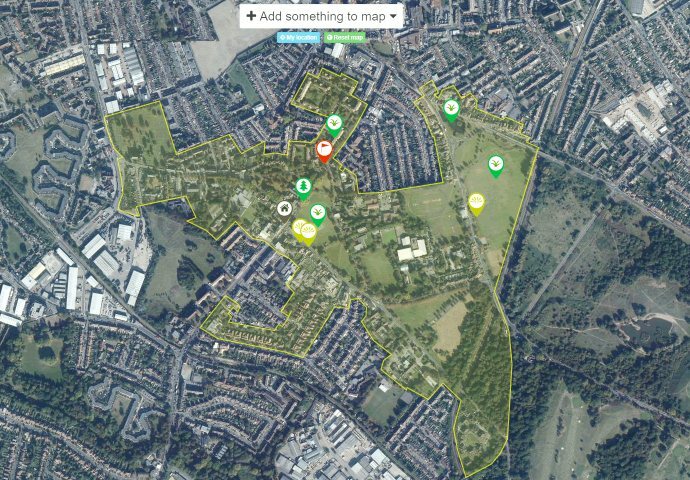 It reflects the importance of Mitcham’s heritage and open spaces. This one off funding will give The Canons a real boost and reinvesting the income it generates from new activities will secure its long term future. Now the grant has been secured, the real work begins! A planning application for the works is expected in September. Watch out for more news and let us know if you want to get involved. This entry was posted in Cricket Green Conservation Area and tagged HLF, Lottery, The Canons on July 17, 2017 by mitchamcricketgreen.